One Direction’s Liam Payne played a prank via twitter. 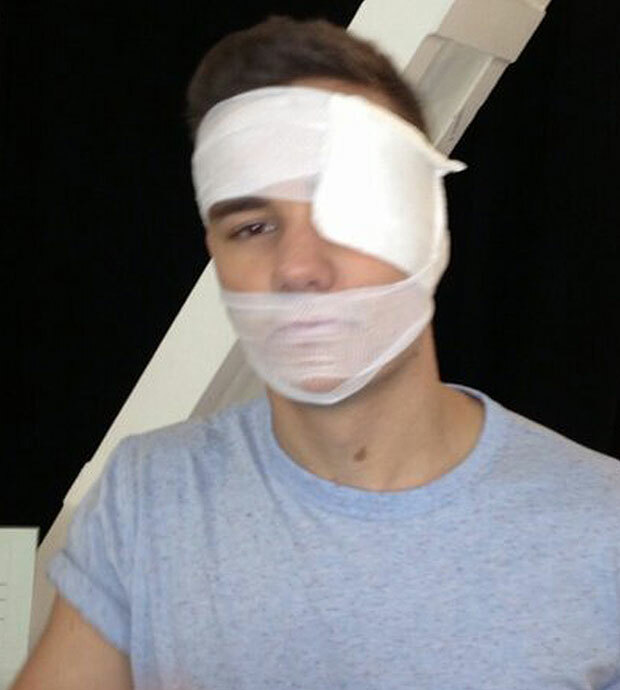 Liam Payne horrified One Direction fans by appearing in a photo with his face in bandages. But fans fearful for Liam’s heartthrob looks were able to breathe a sigh of relief — when the group confirmed it was just a “joke”. Picture Liam Payne of One Direction posted on Twitter triggering fans to be concerned.